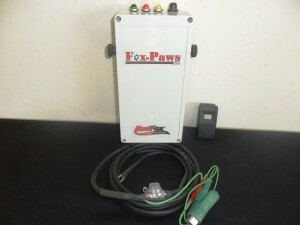 The Fox-Paws 100 works like a lock-out. You can attempt to start the engine, but the engine will crank over but will not start. After pushing the transmitter button, the engine will start. Push the transmitter button again and the engine will shut off. 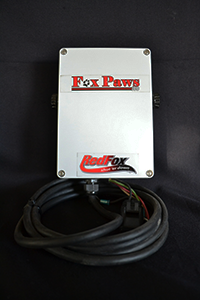 This unit is designed for engines powering equipment that you DO NOT want people operating without the remote transmitter present. Do your children sometimes get out of control on that ATV? Could they be heading for an accident? 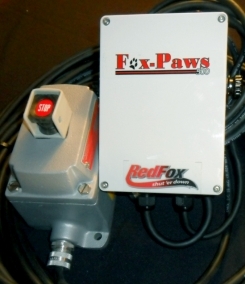 Push the button on the Fox-Paws shutdown unit and they stop. With Fox-Paws, parents can retain control and virtually watch over the shoulders of their children. Will save lives, injuries, and equipment. Dimensions: 6.626 in., 4.75 in., 2.25 in. 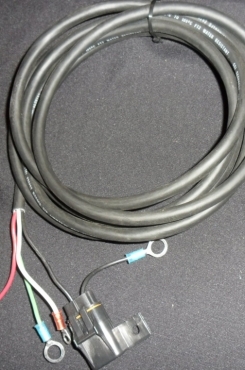 12 volt DC Requires electric injector pump solenoid or coil, 900 MHz Frequency, Lock out start up. 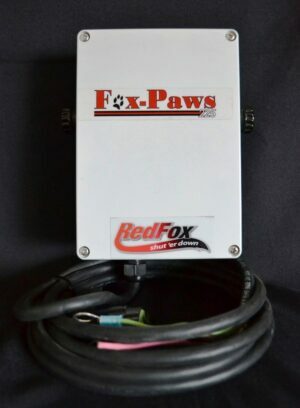 Range: up to ¼ mile range line of sight, Easy installation (3 wire system), Green/Run Red/Stop lights, Yellow/Low Battery Indicator, Weather resistant enclosure (N.E.M.A. 4), Expandable up to 4 transmitters. pendant for safety around dangerous machines, Wireless Emergency Stop is the next generation of personal protection equipment. Immediate shutdown, always within reach when working around dangerous machinery.